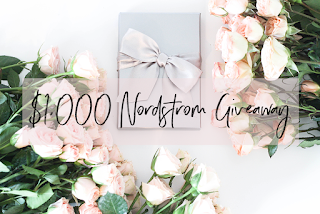 Wouldn't you love to have the money to shop for your clothing at Nordstrom? Here's a giveaway for a $1,000 gift card for US and Canada residents to do just that. You have through 6/11 to enter. There are 123 entry options in this Rafflecopter form. For the best chance, do them all, but at least do a few for some chance. Most people would not do all of them given how many there are.